The Saint Athanasios Sunday School program begins with Preschool (age 3), and continues through Senior year of High School. This important education occurs by working in partnership with our Parish families during this 15 year journey. We strive to reach our children’s minds and hearts –offering theological and practical education about our Faith, and also leading their hearts to the love of Christ by teaching and example. Our ultimate goal is to lead them to love Christ, His Church, and each other, so that our Faith becomes a real and foundational component of their everyday lives. 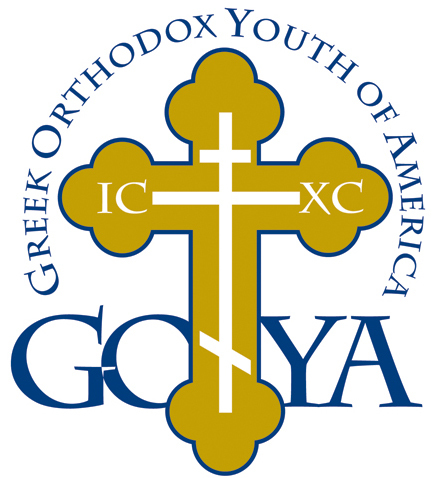 The Greek Orthodox Youth of America, or GOYA, is the ministry to teenagers (grades 8-12) of the Greek Orthodox Archdiocese of America. The mission and goal of GOYA ministry is to lead our young people into experiencing the Holy Orthodox Faith. By developing a personal relationship with our Lord and Savior, Jesus Christ and becoming active sacramental members of the living Church, our young people will be equipped with tools necessary to assist them in their journey toward salvation. Saint Athanasios GOYA meets throughout the year. Please see the ministries schedule above for times and dates. The Junior Orthodox Youth, or JOY, is a ministry of Saint Athanasios Church. The mission of JOY is to strengthen the relationship of young Orthodox Christians with our Lord and Savior Jesus Christ. Jr. JOY is a ministry for those in grades 1-3; JOY is a ministry for those in grades 4-7. The program works to educate and edify young members of the Church, encouraging them to become active sacramental participants in the life of the Body of Christ. This ministry offers them the opportunity to experience the Faith, ultimately leading them to Salvation. Saint Athanasios JOY and Jr. JOY meets throughout the year. Please see the ministries schedule above for times and dates. A practical interactive class for those seeking to learn the theology of the Orthodox Church in a digestible way. Class is for adults, Orthodox and non Orthodox alike. This class also is a requirement for those seeking to embrace Orthodoxy as their religion. Classes meet once a month from 7:00 to 8:00 p.m. The culminating experience of this preparation takes place with a chrismation ceremony prior to the Divine Liturgy for those who are embracing the Orthodox faith. Contact the church office for more information. This ministry meets on Friday evenings from 6:00 to 7:30 p.m. We discuss various topics throughout the year. Please see the ministries schedule above for topics and dates. Contact the church office for more information. What is your Mission? This is an outreach ministry at Saint Athanasios where the youth are able to participate in ministering to different people in need throughout the Saint. Athanasios community and abroad. This year we will come together and make school kits, health kits, cleanup buckets and medical kits for IOCC, collect food for the local food pantry, participate in various fundraisers to benefit local families and Saint Basil’s Academy and more! See you at the Mission! 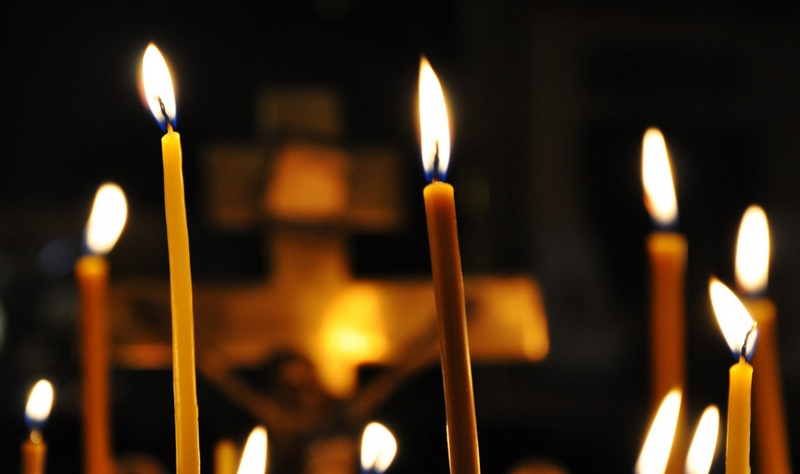 In addition to Bible Study and Orthodoxy 101, Discoveries in Faith will focus on enriching our journey through the Orthodox faith and promoting spiritual growth. Orthodoxy 101 class is required for those seeking to become Orthodox through Chrismation or Baptism. Discoveries in the faith classes are highly recommended for those adults who never experienced a fulfilling Sunday school education. It is a class that is hands-on, offering the opportunity for questions and discussions. It is a great opportunity for those who are already Orthodox Christians to learn why we do what we do, and understand fully what we believe in. During the class we’ll discuss ethical issues as well as contemporary questions and issues found within Christianity as well as in secular society. Topics can be submitted to Fr. Peter through the church office, for discussion at the upcoming classes. Classes meet once a month on Friday evenings from 6:00 to 6:45 p.m. The Greek Orthodox Ladies Philoptochos Society, Inc. is the philanthropic arm of the Greek Orthodox Archdiocese of America that has offered eighty years of philanthropy through a multitude of programs that make a difference in the lives of people in the United States and throughout the world. Philoptochos fulfills its mission to “help the poor, the destitute, the hungry, the aged, the sick, the unemployed, the orphaned, the imprisoned, the widowed, those with disabilities and the victims of disasters through its National and Metropolis Boards and its 27,000 members and 500 chapters, nationwide. The Saint Athanasios Philoptochos Chapter is comprised of over 100 women of diverse ages and backgrounds working together to reach out to the parish membership, the local community and to the world at large through fundraising, charitable donation and volunteerism and to carry out the mission of the national Greek Orthodox Philoptochos Society. The Saint Athanasios Chapter has raised and donated thousands of dollars in support of such charities as Philoxenia House, the Metropolis Phillanthropy Fund, The Humanitarian Services Project Adopt a Senior Program, the Wheaton Family Shelter, the Greek American Rehabilitation Center and Nursing Home, Wayside Cross Mission, The Illinois State Police, St Basil’s Academy, Junior Olympics, Support a Mission Priest, the Archdiocese Hurricane Katrina Relief Fund and many others including the support of local families who require special assistance. Additionally, Philoptochos participates in the Feed the Hungry program annually, providing meals, meal service and clothing to the homeless in the Chicago area and visit the Greek American Rehab Center and Nursing home to provide fellowship and friendship. For more information about Philopticos and/or to join, contact Elli Koulos at ekoulos23@live.com.